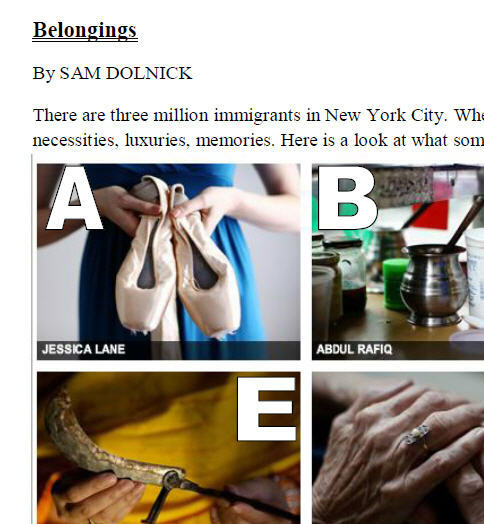 This worksheet is based on a photo article on http://www.nytimes.com/interactive/nyregion/27belongings.html. 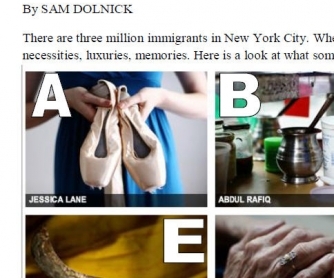 Students look at the pictures some immigrants have taken with them to NYC and try to guess their history (and in some cases what the object is). Then they have a (long) reading activity where they read about the owners and match them to their objects. At the end, I give them some more objects and they have to write their own "mini-story".